» A comic about breakfast cereal. 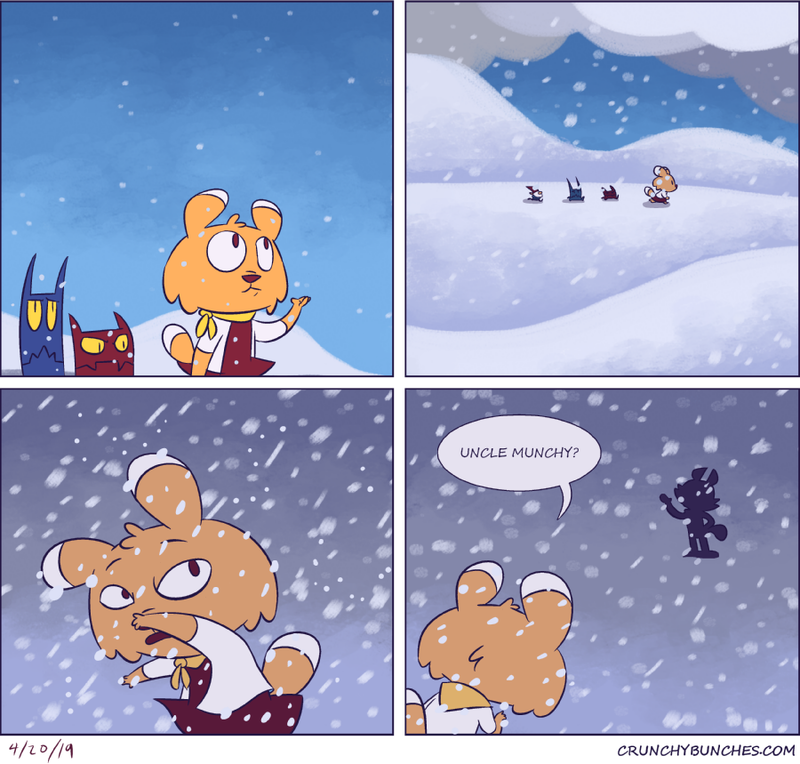 Another reminder that Crunchy Bunches is now on Patreon! 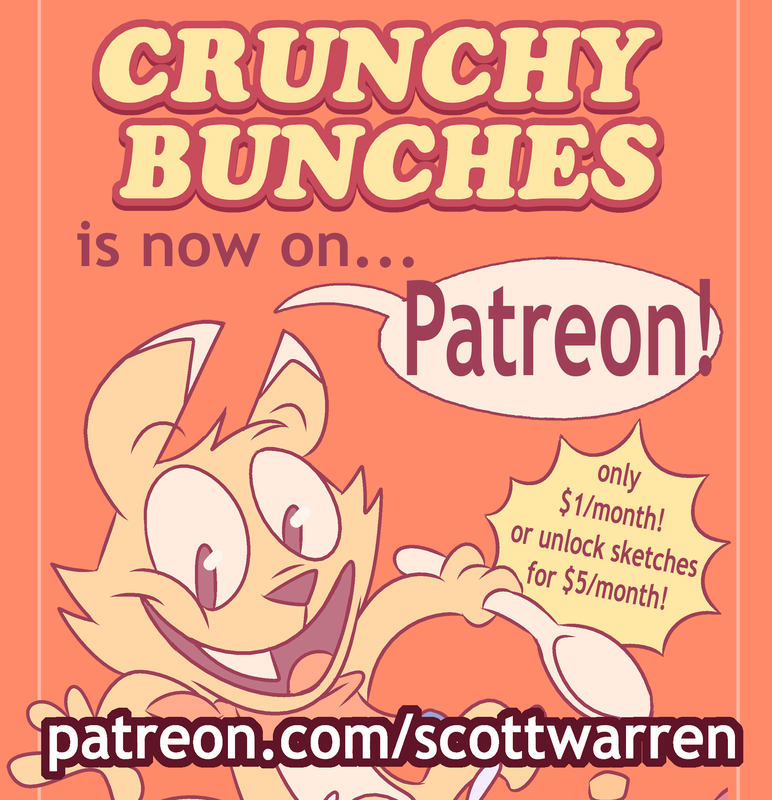 If you’ve ever wanted to help out with support for the comic, Patreon can let you subscribe for as little as $1 a month, or $5 to get some exclusive behind-the-scences sketches and concept work! Check it out!